Hunan University is situated at the foot of the picturesque Yuelu Mountain and on the west bank of the rippling Xiangjiang River in the historically and culturally renowned City of Changsha, capital of Hunan Province. It enjoys the title of an "Ancient Millenarian Academy, Famous Centennial University". As one of the key and most comprehensive universities affiliated with the Ministry of Education, it has been included in the state's "Project 211" and "Project 985" for priority investment and construction. Professor Liu Keli is the Party Secretary of the CPC Hunan University Committee and Professor Zhao Yueyu the President of this highly reputed institute. Carrying forward the celebrated traditions of quality education and personnel cultivation, Hunan University continues to focus on the essence of its motto "Seeking Truth from Facts; Daring to be Pioneers" and the style of "Be Profound, Intelligent, Diligent and Dedicated in the Pursuit of Knowledge". It has adopted distinctive teaching style featuring "solid foundation, active thinking, strong adaptability, and good comprehensive quality". Since the founding of the People's Republic of China, the university has produced more than 200,000 senior professionals, of whom large numbers of the graduates have grown into academic experts, entrepreneurs and high ranking officials in government and private sectors, while 16 alumni members have been elected as members of the Chinese Academy of Science and the Chinese Academy of Engineering. The employment rate of the fresh graduates keeps a record of over 90%. The University has Graduate School and 23 colleges and departments. Professional disciplines involve 11 subject categories, such as philosophy, economics, law, education, literature, history, science, engineering, management, medicine and arts, which offer 25 first-order disciplines authorized to confer Ph.D. degrees, 41 first-order disciplines authorized to confer Master's degree, and 20 academic degree authorizations, 2 key first-order disciplines and 14 key second-order disciplines honored at the national level, as well as 21 post-doctoral programs. It has a staff of over 4,300 with a faculty of more than 1950, of which, over 1,270 are professors and associate professors,4 are members of the Chinese Academy of Sciences and Chinese Academy of Engineering, 4 are invited-members at both Chinese Academies of Sciences and Engineering, 33 are members of the state's Thousands Talents Program, 4 are members of the state’s Ten Thousand Talents Program, 24 are Cheongkong Chair Professors, 18 have been honored with financial support from National Outstanding Youth Fund, 5 are members of the Academic Degree Commission under the State Council, 21 are members of the state's Outstanding Talents Project of the 21st century,134 are reputed as New Century Excellent Talents in support programs of the Ministry of Education, 34 are members of Hundred Talents Program of Hunan Province, 16 are chair Professors of the Lotus Scholarship Program of Hunan Province,199 are Council Experts for Special Allowance, 4 are winners of the National Distinguished Teacher Prizes, and 8 innovative teams are supported by Program for Cheongkong Scholars and Innovative Research Team in Universities. The student body totals nearly 30,000, of which over 20,800 are undergraduates and 14,000 are graduates. The University has established national basic-course teaching bases in science and engineering (chemistry), national undergraduates' cultural-quality education base, 7 national-level teaching teams, 6 bilingual model courses, 6 innovation experimental talent cultivation, and 3 national model experimental teaching centers. In recent years, the University has witnessed numerous achievements, such as one First Prize and, 5 Second Prizes in the National Teaching Achievement Assessment, and 25 courses were rated as national Excellent Courses. 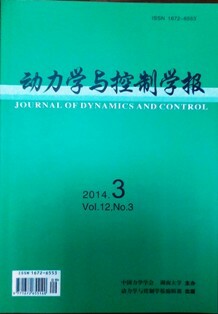 In the past five years, students from Hunan University have won nearly 900 awards for contests above provincial level, including first prize in the National Extracurricular Academic Science and Technology Work Competition, Champion of the CCTV Cup English Speaking Contest, first prize for the Mathematical Contest in Modeling (MCM), and perseverance award at the Formula SAE. Hunan University is equipped with 2 state key laboratories, 2 national engineering technology research center, 1 international research center of national level, 1 key discipline laboratory of the Commission for Science, Technology and Industry for National Defense (COSTIND), 5 key laboratories of the Ministry of Education, 5 provincial or ministerial-level engineering technology centers, 14 key laboratories of Hunan Province, 1 provincial engineering laboratory, 4 key laboratories of institutions of higher learning of Hunan Province, 3 key laboratories of mechanical industry, and 17 provincial-level social science research bases. In the past decade, it has undertaken around 10,000 scientific research projects at various levels, gained 2 second-class awards for the national natural science, 3 second-class awards for the national technological invention, 1 first-class award and 18 national second-class awards for the Science and Technology Advancement, in addition to 6 second-class awards for Outstanding Achievements in Humanities and Social Sciences at Universities. Besides, technopark co., ltd. and 56 advance-level platforms for Enterprise-University-Research Institute have been set up, whereas the base of Enterprise-University-Research Institute Cooperation has been established in Lugu High-techIndustrial Park. The Enterprise-University-Research Institute Cooperation relationship covers 32 provinces (districts, cities) and thousands of enterprises. The university enjoys academic exchanges with 140 universities and research institutes across the world. More than 300 recruited experts come every year for long or short term courses. The enrollment of overseas students from over 40 countries and regions is around 1000. Confucius Institutes of Honam University, University of Regina, and Colorado State University have been established cooperated by Hunan University, which make Hunan University the one who set up most overseas Confucius Institutes in the province. The university covers a total area of 1,536,000 square meters with a construction area of over 1133,300 square meters. Boasting a total collection of over 6.2 million books and 76 TB of digital resources (Chinese and English), the university is equipped with advanced IPv6 campus network, with 10Gb wired cable backbone network covering all the teaching buildings, office buildings and students' apartments, accompanied by simultaneous coverage of wireless campus network. The computers connected with the campus network amount to over 30, 000, enjoying a bandwidth of 4.5 G, which realizes a multi-channel informationized teaching, administration and service based on mobile technology. The digital campus of Hunan University is taking shape. Furthermore, National Supercomputing Center of Changsha is under construction in the university. Since the founding of the People's Republic of China, this institute has received great attention and high praise from the senior leaders of both the Central Government and local authority, such as Liu Shaoqi, Hua Guofeng, Hu Yaobang, Jiang Zemin, Zhu Rongji and Wen Jiabao. On their visits and inspection they have commended Hunan University with "Cradle of the Talents of Xiang and Chu", "The Kingdom of Chu, unique home of talents; today's academy of Yuelu, the prosperous cradle of all", and "Ancient Millenarian Academy, Famous CentennialUniversity".